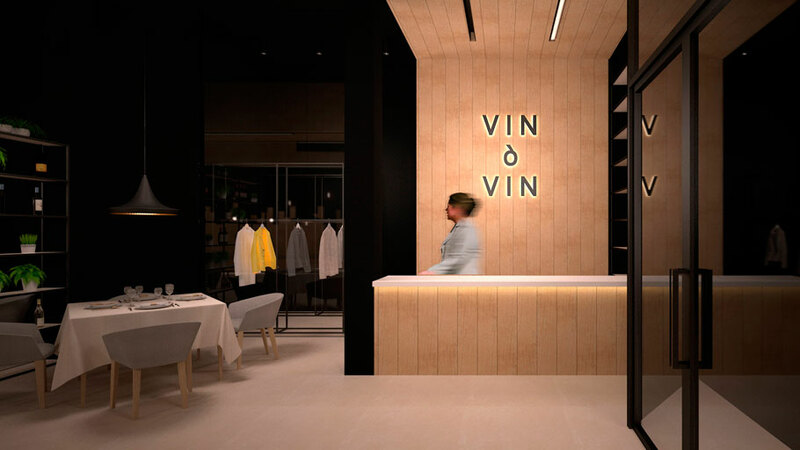 The trend to create sophisticated gourmet spaces which combine both leisure and gastronomy led the Nomo Architecture and Interior Design studio to design an exclusive concept-store project for the city of Murcia. This distinctive restaurant and gourmet shop project of selected products was one of the finalists at the 9th PORCELANOSA Grupo Architecture and Interior Design Awards, in the Professional Forward-Looking category. Not only for its exceptional and attractiveness, but also for the flawless introduction of materials and products from PORCELANOSA Grupo in each of its rooms. 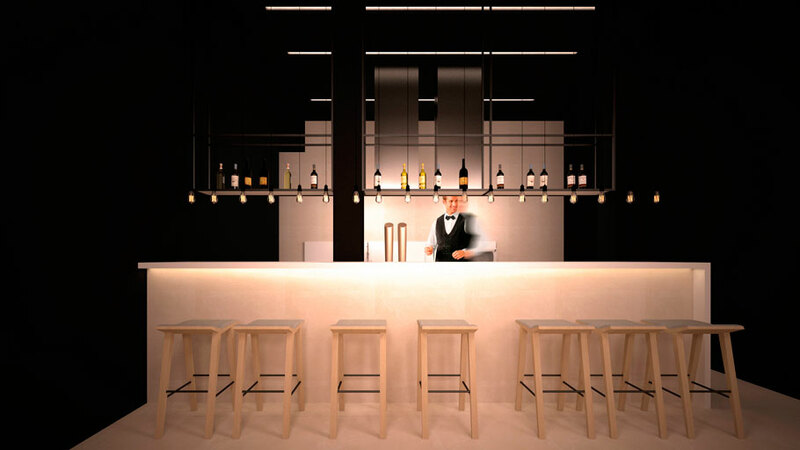 Both quality and innovation are joined together with the contemporary gastro-bar concept which also wanted to remember the origins of wine, inspiring its interior design in the cellar. 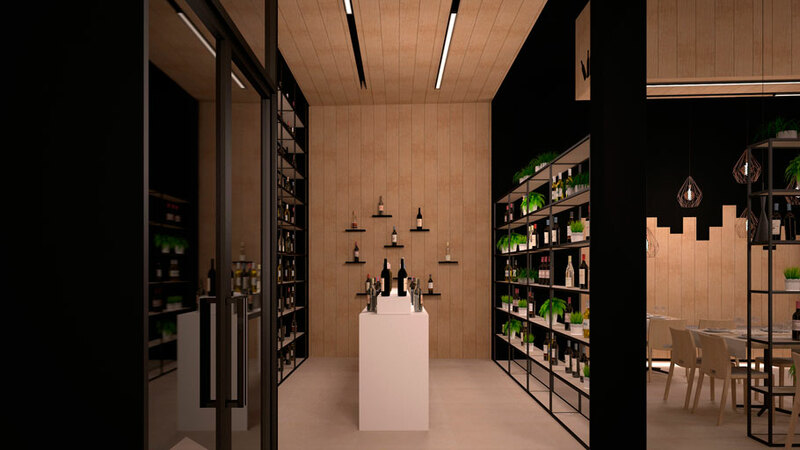 To do this, professionals from Nomo Architecture, Javier Cubero and Jesus Martinez, combined the oak with dark and harmonious materials which suggest authenticity to the customer and the purest wine essence. The concept store is divided into three distinct areas: the entrance, the restaurant and the services, which in turn encompasses the kitchen, bathrooms and dressing room. The shopping area is spatially limited by the ceiling’s height, and also because of the inverted U shape coating that seems to carry and accompany the user to the entrance. In turn, this space is equipped with exhibitors on the facade and between the pillars which, as they let the light comes into the restaurant, together it all offers a feeling of a very welcome, together with the appropriate privacy. 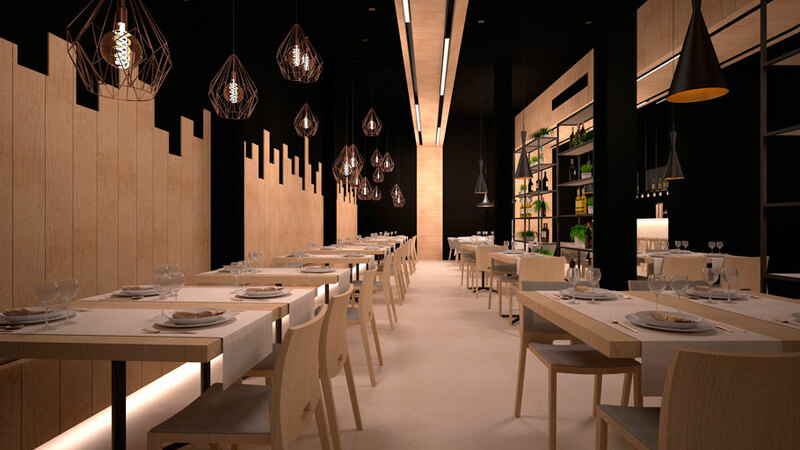 The space for the restaurant invites you to go through two large volumes, starting from the entrance and occupying the entire longitudinal area, right up to the walls. The countertop, meanwhile, serves as a boundary element of the space, separating the restaurant itself from the kitchen area. 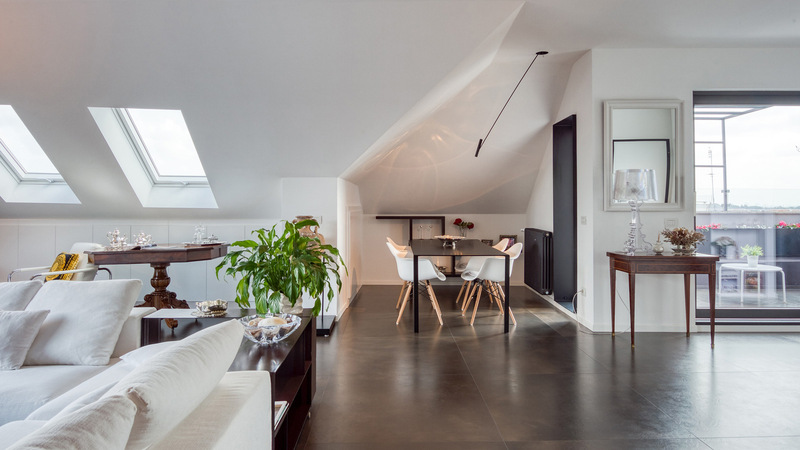 With regard to the materials used in this project, it is worth highlighting the fine integration of the wood by means of the highly-resistant ultra-hygienic laminate flooring. To be precise, the Michigan Clear model by L’Antic Colonial was the choice that was put on the wall tiles and the ceiling volumes. 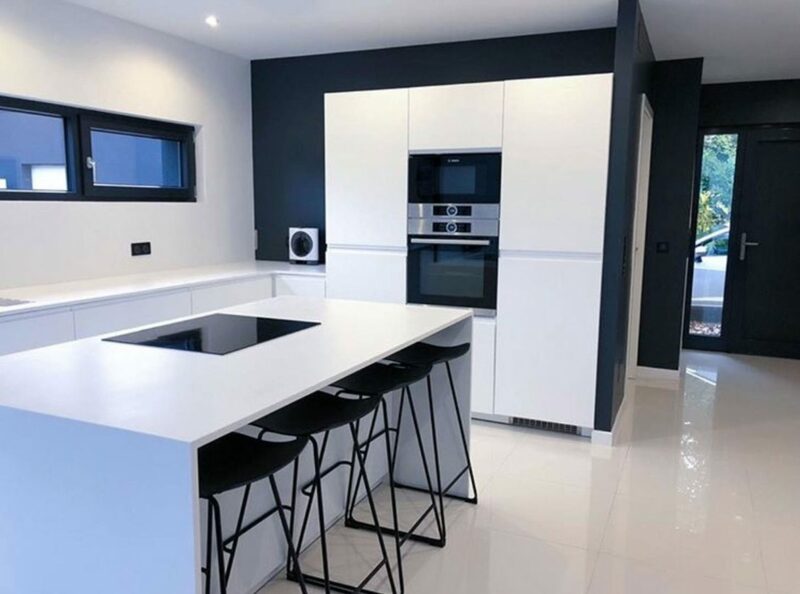 On the other hand, and with regard to the flooring, the people in charge of the project opted for the porcelain tiles, by making use of the Dover Caliza STON-KER ceramic stone by Porcelanosa on the interior floor, the kitchen wall and the shelves. 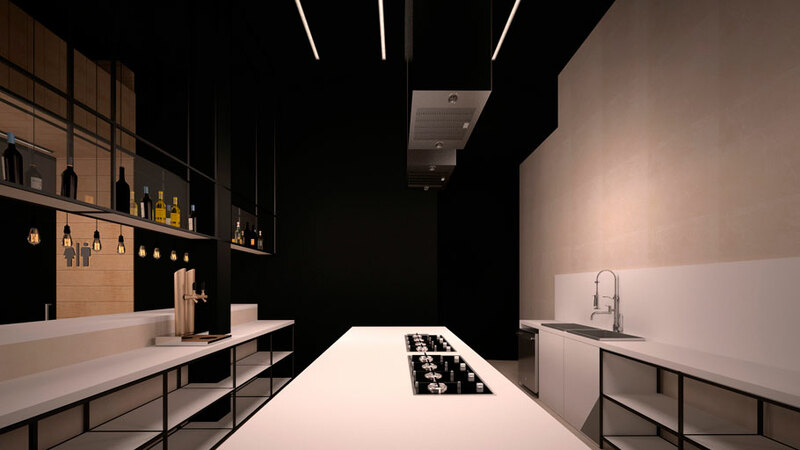 As far as the restaurant kitchen is concerned, since it is a highly-demanding space, the choice was the KRION® Solid Surface state-of-the-art mineral compact, which was installed in the worktop area. Both its hygienic and anti-bacterial properties make this mineral compact the ideal material for this space in contract projects by ensuring both a full guarantee and total resistance. Furthermore, the acrylic stone was also installed on the stand furniture of the commercial area, a high-use piece of furniture which is highly resistant to wear and tear. 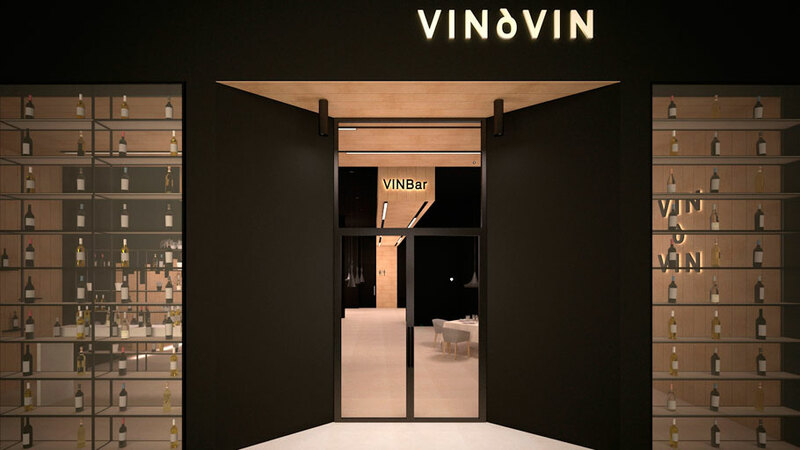 The firm, Noken, also plays a very important role in Vin & Vin, done by Nomo Architecture. The bathroom equipment firm is present by means of bathroom taps and sanitaryware, and to be precise, the chosen models were the Urban Stick Cromo single lever basin mixer and the s-or Arquitect sanitaryware with the Smart Rondo Blanco front double+ flush button. 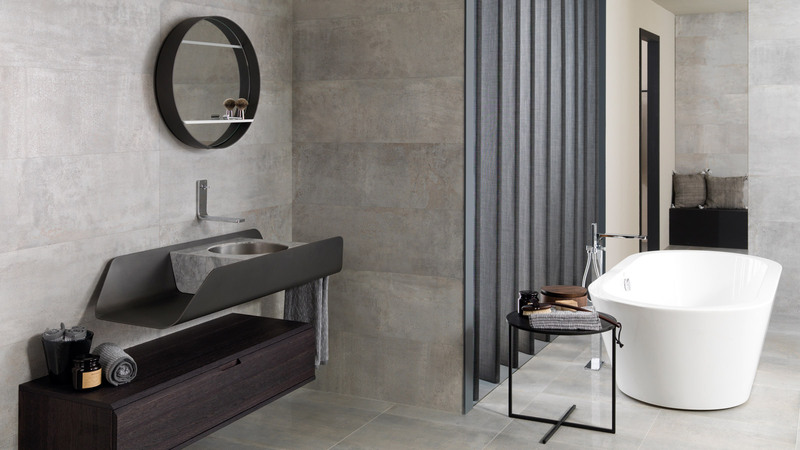 The washbasin, also by Noken, belongs to the Nantes collection, whilst on the other hand, the bathroom furniture is the Soft model by Gamadecor in oil oakwood. 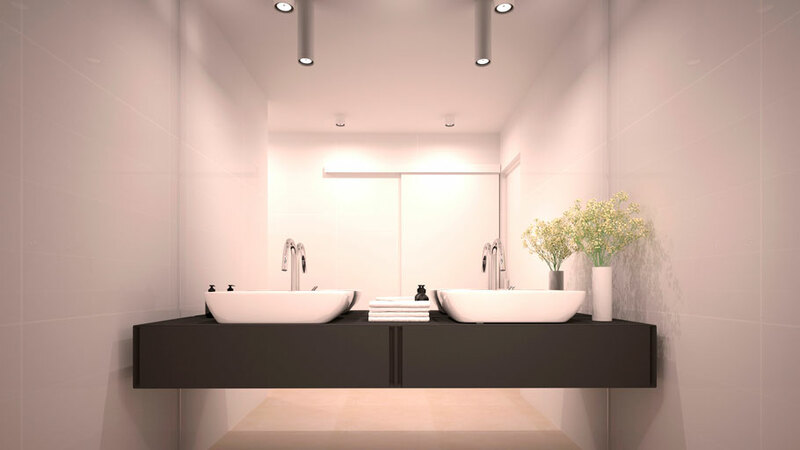 In this very same area, the bathroom, and with regard to the wall tiles, the choice was a textured ceramic tile by Porcelanosa, to be precise, the Marmi China PV model, which is able to provide the basin area with both distinction and low-porosity properties, thus, becoming excellently suitable for the humidity in the bathroom. Finally, the dressing room was equipped with furniture from Gamadecor suitable for this purpose, with special design and high storage capacity. The E6 roasted oak series was selected, with profiles in both black metal and bronze glass. Lastly, we have to highlight the facade of this select rooted project. It has the resistance, ease of installation and the XLight large format porcelain tile from Urbatek. A material with great benefits in Basic Dark Nature finish that covers almost the entire outdoor wall tile.